As the ABB Formula E Championship says goodbye to the Gen-1 car, the series crowned a new champion, with Techeetah’s Jean-Eric Vergne claiming the Season 4 title. However, it did not all go Techeetah’s way, with Audi Sport ABT Schaeffler beating the Chinese team to the Team’s title. We now take a look at the facts and figures behind the days racing in New York City. – Lucas di Grassi’s Race One victory was only the second Formula E win when starting from outside the Top 10. di Grassi also claimed the other victory from outside the Top 10 when he won from 15th on the grid in Season 3’s Mexico City ePrix. – In the team’s last weekend in Formula E, Renault managed to lead their 500th lap, becoming the first team to do so. The five laps led at the start of Race One were the first laps led by Renault and Buemi since Marrakesh, eight races ago. This was the longest streak without a lap led for both the team and driver. – Due to the damp conditions in both Practice and Qualifying on Sunday, every driver set their fastest lap of the day in the Race. The case of a driver setting their fastest lap of the day in the race, given that there is practice and qualifying on the same day, is so rare that over the previous 44 races it had only occurred seven times (and only once in each of the last three season), which is a rate of only 0.81%. – Season 3 champion, Lucas di Grassi, took his sixth and seventh consecutive podium in New York, which is exceptional seeing that no other driver has had more than three consecutive podiums. 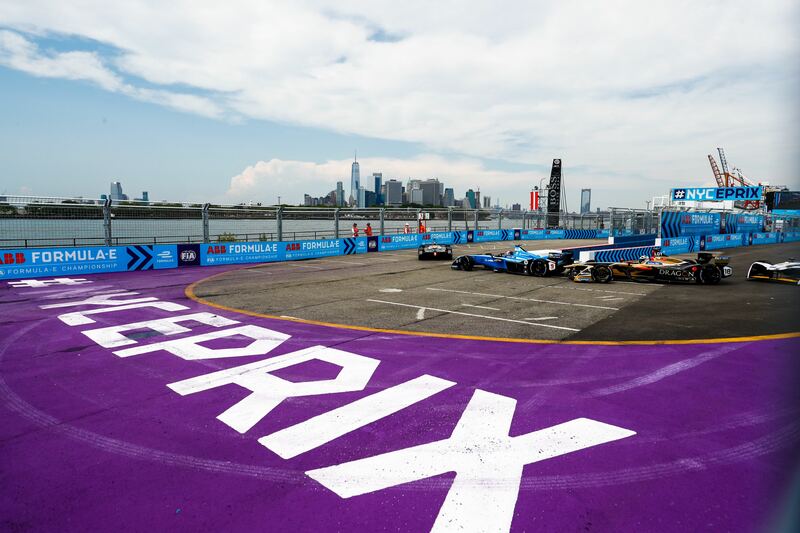 Combing the two New York City ePrixs, Venturi’s Tom Dillmann managed to gain the most places on the opening laps, taking four places in Race One, to move up to fifth, and taking one place in Race Two. Lotterer (in Race One) and da Costa (in Race Two) also gained four places in one ePrix, but both dropped back in the other. After having a mechanical issue at the start in Race One, Evans retired from second on the grid, resulting in him losing the most places over the opening laps. Season 4 champion, Jean-Eric Vergne, used his perfect start in Race 2 to gain two places and claim the lead of the race. The Techeeatah driver then managed to defend against Lucas di Grassi to take his fourth victory of the season (a season total which is only bettered by Sebastien Buemi’s six wins from Season 3). Over the whole of Season 4, Lucas di Grassi managed to gain the most positions on the opening lap, gaining a total of nine positions. 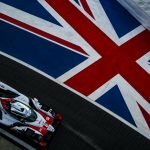 At the other end of the spectrum, both Dragon drivers are at the bottom of the list, with Jose Maria Lopez and Jerome d’Ambrosio losing a total of nine and 16 places, respectively, on the opening laps. d’Ambrosio also lost positions on the opening lap seven times, equalling the record Stephane Sarrazin set in Season 3. Even though he finished with an overall loss of positions, Maro Engel gained positions on the opening laps the most times, increasing his position in a total of seven ePrixs. Having gained a season record of 13 places in Race One and two places in Race Two, Vergne was the biggest mover in New York, with a total of 15 places gained. 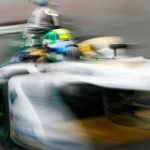 In Race One, for the first time in Formula E history, three drivers managed to gain at least ten places. Along with Vergne, the other Techeetah of Andre Lotterer gained 12 places and Audi’s Lucas di Grassi gained ten places on route to victory. However Race Two saw less movement with the biggest gain in positons being only five (by Heidfeld, Prost, Ma, Lynn and da Costa). This was the smallest gain since the first race in Berlin of Season 3, where no drivers moved more than four positions. With Jose Maria Lopez retiring from both races, the Argentinian lost a total of 19 places, the most in New York. As a result of his mechanical on Lap 1 of Race 1, Mitch Evans lost a total of 17 places, the most places lost in a race since Felix Rosenqvist retired from pole in Rome. Having not finished any lower than where he started since the first race in Hong Kong, Jean-Eric Vergne finished Season 4 as the driver to have gained the most places all season. The Frenchman gained a total of 36 places, ten more than any other driver. Even with the 17 places lost in Race 1, Mitch Evans still finished with a gain in positions, mostly due to a season record of 13 places gained in Santiago. Sam Bird and Antonio Felix da Costa both finished the season gaining positions in the most races, eight. Due to various mechanical issues and bad luck, Bird’s DS Virgin teammate, Alex Lynn, finished the season with the most races finishing behind where he started, also eight. Due to the late Safety Car in Race One, many drivers ended the race with excess power, leading them to not have to lift and coast, meaning every driver who got to the Safety Car in Race One set their fastest race lap of the weekend after the Safety Car period. Daniel Abt claimed the bonus point for Fastest Lap in both races (due to Roseqnvist being outside the Top 10 in Race One). This was the fifth time this season (and fourth time in five races) where Abt has received the Fastest Lap bonus (equalling Buemi’s record from Season 2) and also marked the first time in Formula E, where the same driver had claimed both Fastest Lap points in a double-header weekend.